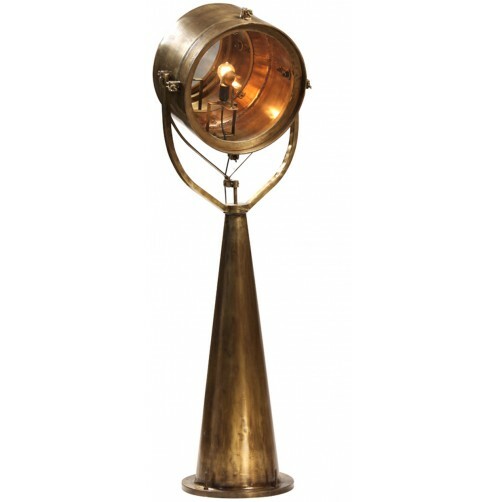 Inspired by the vintage style nautical search lights, the Nautical Search Light Floor Lamp is a sleek, industrial styled lamp that becomes a focal and conversational piece in your home. Featuring an antiques brass finish. Requires a 60 watt light bulb maximum.